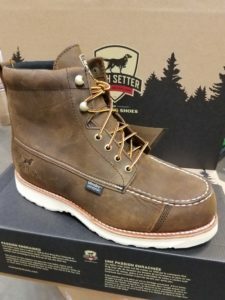 Shop our latest footwear brands including shoes and boots at Lochte feed! 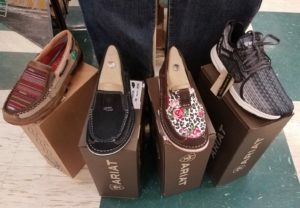 You’ll find the latest styles and selection from Ariat, Twisted X, and more. 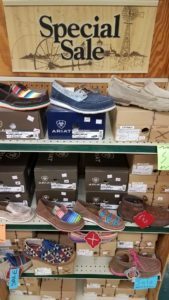 Our selection of shoes includes men’s, woman’s, and shoes for children. 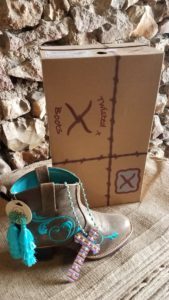 We also offer workboots and cowboy boots. 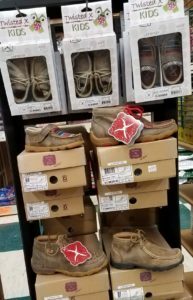 Shoes make a perfect gift for any member of the family. We offer the latest styles and brands that are durable, comfortable, and stylish. Our selection and sizes mean you’ll find the right shoe for the right family member. Check out our clothing section too, and find an outfit for the entire family. Choose from Wrangler jeans and shirts and apparel for women. This entry was posted on Friday, November 30th, 2018 at 11:48 am	and is filed under News & Updates. You can follow any responses to this entry through the RSS 2.0 feed. Both comments and pings are currently closed.